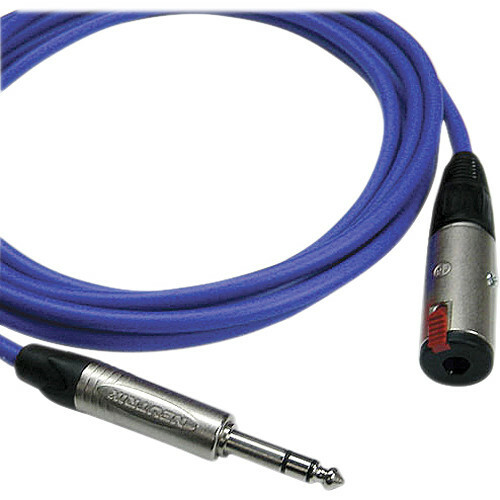 The blue Canare Starquad TRSM-TRSF Extension Cable (35') is a headphone extension cable and is handcrafted with the super flexible Canare L-4E6S cable and professional Neutrik 1/4" TRS phone connectors. Use Starquad for reduced hum and EMI, and no handling noise. This cable is perfect for extending Pro Headphones with 1/4" TRS plugs, or you can use a mini TRS female to 1/4" TRS plug adapter. Box Dimensions (LxWxH) 7.7 x 6.4 x 1.4"
Starquad TRSM-TRSF Extension Cable (Blue, 35') is rated 5.0 out of 5 by 1.